Quick Ship Bike Racks from Park Tables includes wave bike racks and grid style bike racks. Quick Ships out of the warehouse in 2-3 days for fast delivery to your business! Our Quick Ship Bike Rack collection includes commercial grade galvanized steel or powder coated steel bike racks. Many sizes available anywhere from to 3 to 18 bicycles. Quick Ship eligibility for Bike Racks and quantities available are subject to change. Quick Ship available up to 4 units. Call our friendly staff to get a quote on Outdoor Quick Ship Furniture from Park Tables. 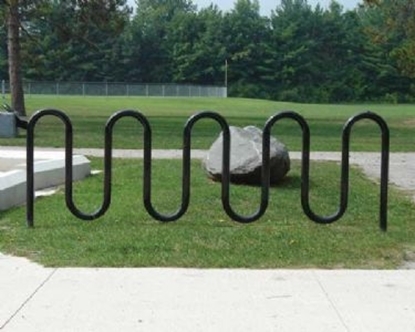 Our commercial public bike racks are great for municipalities, schools, public buildings, and parks.